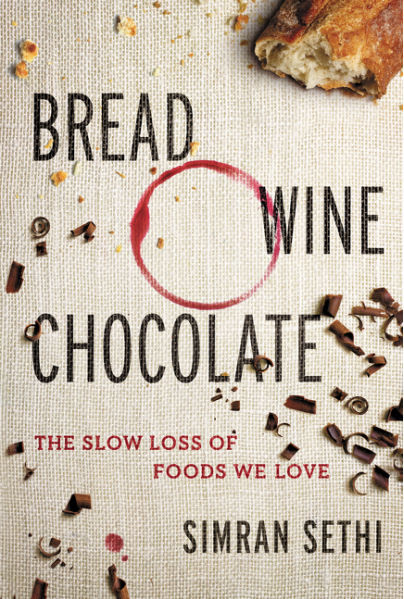 Bread, Wine, Chocolate: The Slow Loss of Foods We Love – part memoir of a journey to six continents in pursuit of delicious and endangered tastes, part investigation of the loss of biodiversity from soil to plate – tells the story of what we are losing, how we are losing it, and the inspiring people and places that are bringing back the foods we love. This week on Eat Your Words, host Cathy Erway is in studio with author Simran Sethi talking how in America today, food often looks and tastes the same, whether at a San Francisco farmers market or at a Midwestern potluck. Shockingly, 95% of the world’s calories now come from only thirty species. Though supermarkets seem to be stocked with endless options, the differences between products are superficial, primarily in flavor and brand. Tune in for an enlightening conversation and learn what it takes to save the tastes that connect us with the world around us.